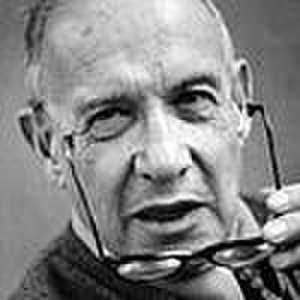 Peter Ferdinand Drucker (; German: [ˈdʀʊkɐ]; November 19, 1909 – November 11, 2005) was an Austrian-born American management consultant, educator, and author, whose writings contributed to the philosophical and practical foundations of the modern business corporation. He was also a leader in the development of management education, he invented the concept known as management by objectives and self-control, and he has been described as "the founder of modern management". 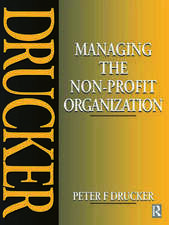 Drucker's books and scholarly and popular articles explored how humans are organized across the business, government, and nonprofit sectors of society. He is one of the best-known and most widely influential thinkers and writers on the subject of management theory and practice. 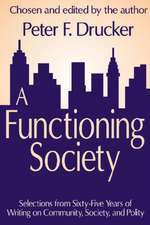 His writings have predicted many of the major developments of the late twentieth century, including privatization and decentralization; the rise of Japan to economic world power; the decisive importance of marketing; and the emergence of the information society with its necessity of lifelong learning. 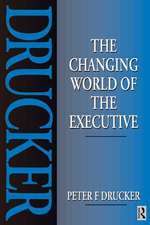 In 1959, Drucker coined the term "knowledge worker," and later in his life considered knowledge-worker productivity to be the next frontier of management. 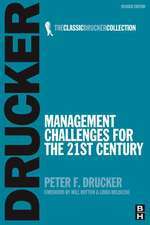 Drucker gave his name to three institutions: the Drucker Institute and the Peter F. Drucker and Masatoshi Ito Graduate School of Management, both at Claremont Graduate University in the United States, and the Peter F. Drucker Academy, China. The annual Global Peter Drucker Forum, held in his hometown of Vienna, honors his legacy. De (autor) Peter Drucker et al. De (autor) Catherine Samary et al. De (autor) Jan Willem Stutje et al. De (autor) Peter F. Drucker et al.